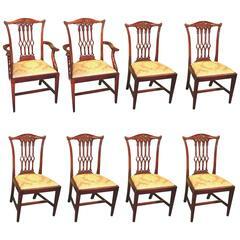 A set of eight late 19th-early 20th century Chippendale style dining chairs. Comprising of two arm and six side chairs, ball and claw feet. 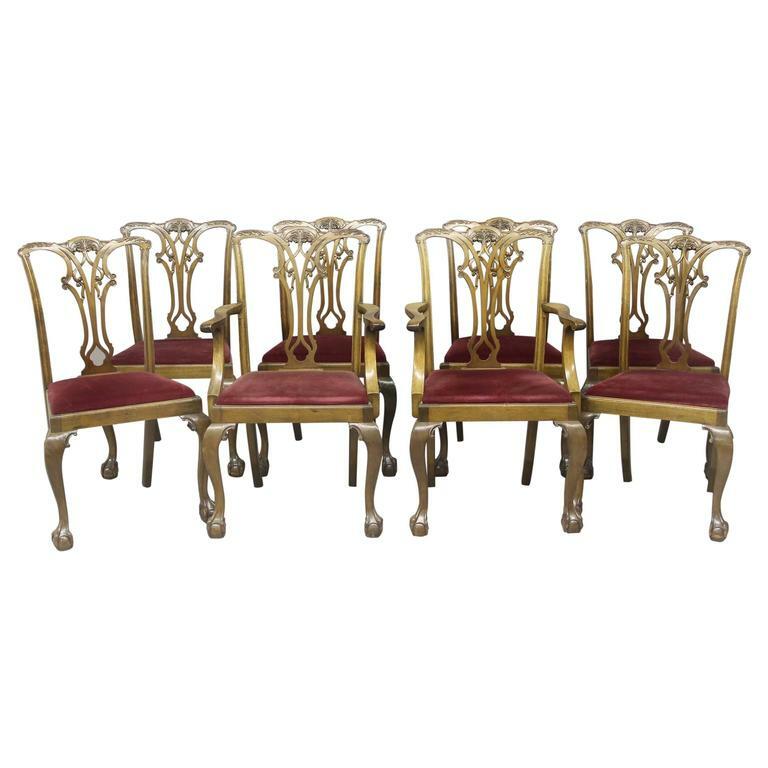 Armchairs: Height: 39 inches/99 cm. 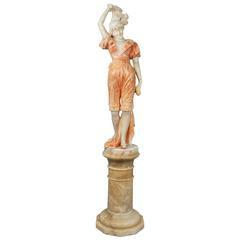 Width: 23.5 inches/60 cm. Depth: 19 inches/48 cm. 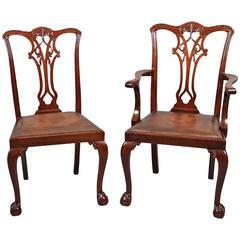 Side chairs: Height: 38 inches/97 cm. 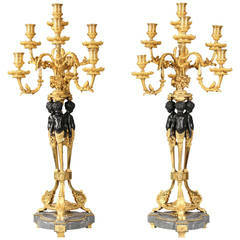 Width: 22 inches/56 cm. Depth: 17 inches/43 cm. 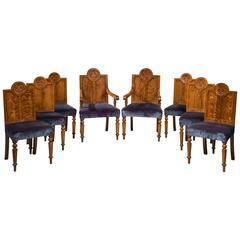 A set of eight 19th century Chippendale style mahogany dining chairs having moulded, floral carved backs with pierced, Gothic, fleur-de-lys carved splats above drop in seats.